The Standard Chartered #GoodDeedMarathon hit it off very well with online users within a couple of days of the campaign starting. The campaign has encouraged a lot of people to do some fantastic good deeds as part of their marketing approach. The word quickly spread on Social Media and made people stop and realize that little deeds go a long way, inspiring them to do the same. From getting in touch with their humanity again to helping the unprivileged, the campaign has spurred on Mumbaikars to do some good for the people around them. 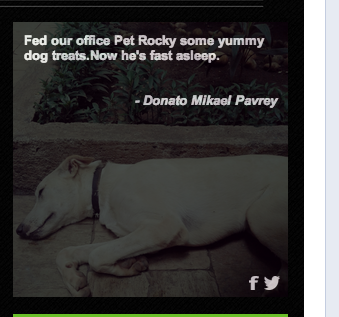 Users have proudly posted their stories through Twitter, Instagram and the website. People loved the positive energy this campaign generated and were as enthusiastic about spreading the word on the micro-blogging site. Popular Influencers let out the word and the hashtag spread as if it were contagious! 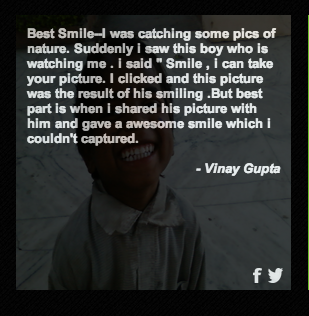 Users have shared wonderful stories of their good deeds. A cause of humanity was very popular during the #GoodDeedMarathon. The tweets below talk about expressing humanity in various forms. Socializing with market vendors or simply talking to eunuchs as normally as possible are things we miss out on often. Our busy lives or sheer ignorance do not allow us to interact with such people in our daily lives. People also shared their stories about how Humanity is not yet lost. 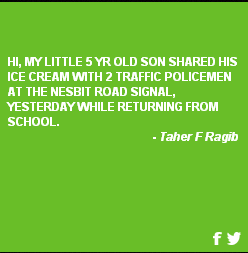 While someone made a cabdriver happy by chatting with him, another encouraged their children to share an ice cream with the traffic police, who stand under the hot sun all day serving us. A bunch of other stories that were posted shared the joy of giving. While some people were inspired to do simple and sweet good deeds, others took larger steps. Donating a Liver to save a life was a very big decision, but did not discourage the individual from signing up for it. Another user did something as simple as giving up an auto he had hailed, and let an elderly lady take it. Every Mumbaikar knows just how difficult it is to stop a rickshaw, and it is tough to think of someone else in this situation. The giving was not limited to products and services, but also the simple joys of life. Charity is one of the most beautiful ways to do a good deed for life. Helping your maid study, or teaching her yourself, are some of the most oft heard good deeds among people. 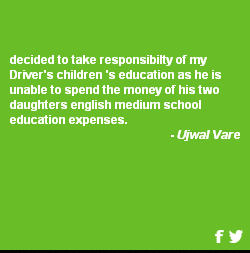 During the campaign, someone decided to take responsibility of their driver’s education which is a very sweet gesture towards your helping staff. Another person decided to give away toys and clothes to unprivileged children, which are two basic things guaranteed to make any child happy. Not only did people talk and spread messages about charity amid humans, but also extended their good deeds among less fortunate animals. 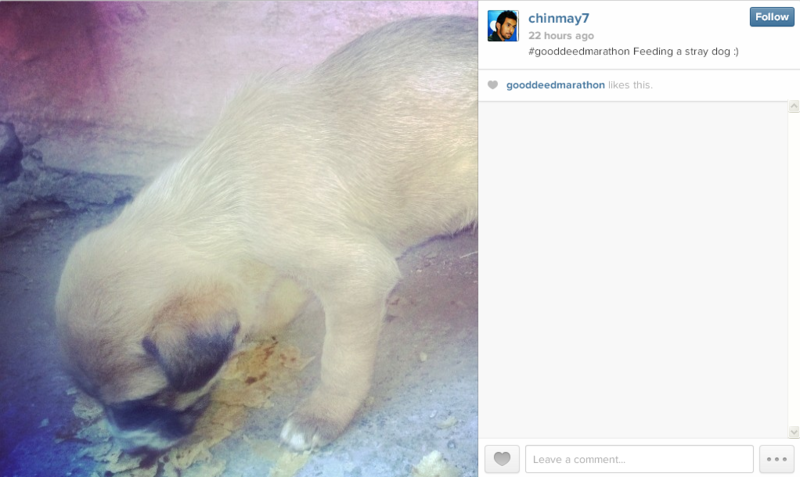 Users posted images on Instagram feeding a stray puppy. #GoodDeedMarathon is inspiring people to contribute together as the city moves together towards doing good for the society and empowering them with a feeling of achievement. We hope that these good deeds continue to crowd the social media space even after the campaign is over, resulting in a long term activity. If you have contributed to this, please feel free to share with us through the comments below. Aegon Life asked twitterati for #BadAdvice; Twitter delivered and how!